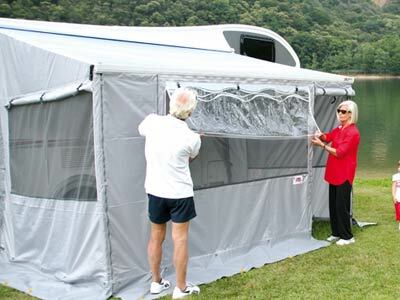 A complete set of 2 x side panels and front panel to fit to Fiamma F35 and Caravanstore awnings which turn the awning canopy in to an enclosed living space. 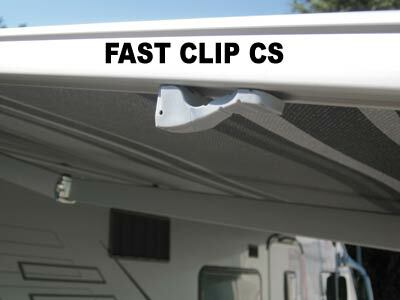 Fiamma Privacy Room CS Light is available in versions to fit Caravanstore awnings from 255 to 440 length and F35 from 250 to 300 length dependent on fitting height. 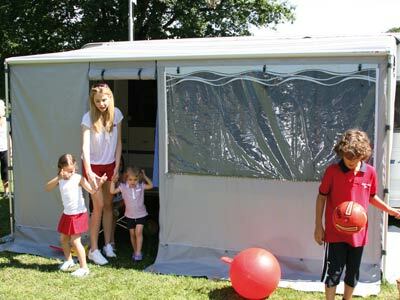 Made from lightweight, durable grey polyester and supplied with Fast Clip CS attachment system to make fitting the side panels to the canopy quick and easy. 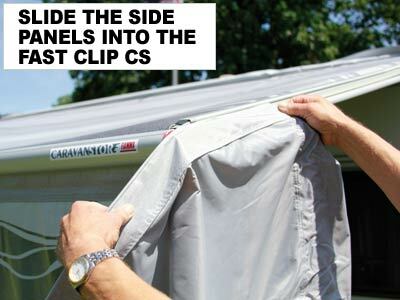 Suitable for Caravanstore* awnings from 2005 onwards and F35 Pro** awnings fitted to Caravans and Campervans. 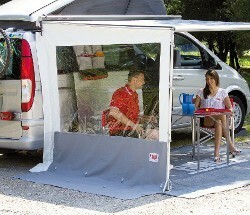 The Fiamma Privacy Room CS Light is made of durable weather resistant grey polyester that once folded up, takes up little space inside the caravan. 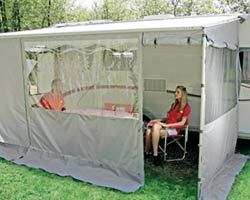 The two side panels are provided with roller blind and mosquito screens for good ventilation. 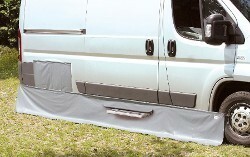 The front panel and door slide into the tube at the front of the awning and then connects to the side panels via auto lubricating zippers. The front door can be placed to the left or right of the main front panel and rolls up to allow access into the enclosure. The walls of the Privacy Room CS Light are modular and can be used independently or inclusively, providing limited or total protection as prevailing weather dictates. 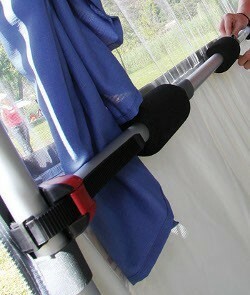 The side panels secure against the caravan side with the standard delivered elastic ropes, provided with quick hooks. 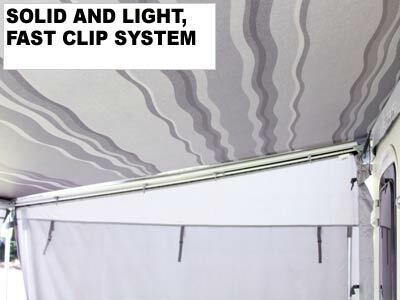 With the Fiamma Easy Clip CS Light the side panels of the Privacy Room are quickly and easily joined together with the fabric of the awning canopy. 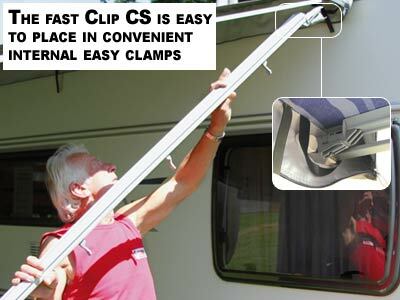 Sturdy but lightweight it allows for easy mounting of your awning. 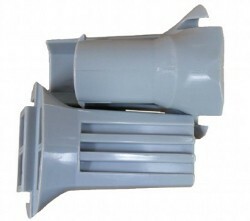 The patented system uses sandwich technology and is made of anodised aluminium. When closed the set of aluminium poles is only 120cm long. 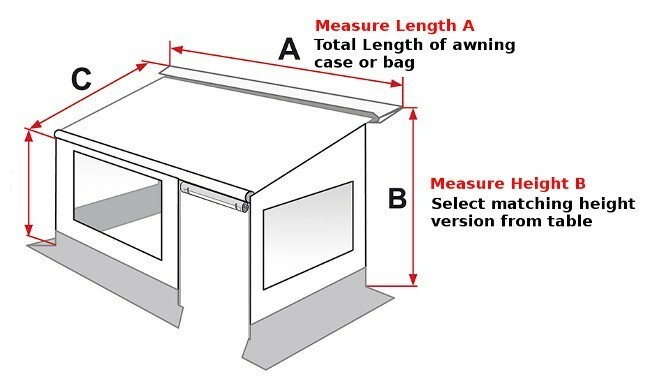 To determine the correct version Privacy Room CS Light for your awning measure the length, height and extension of your canopy and choose the version to match your awning model and installation according to the tables below. 1 front panel with door and window. Kit Poles Light - kit composed of two vertical rafters for a greater stability of the Privacy Room Light (see "Related Products" ). Fit to the rear of the side panels. 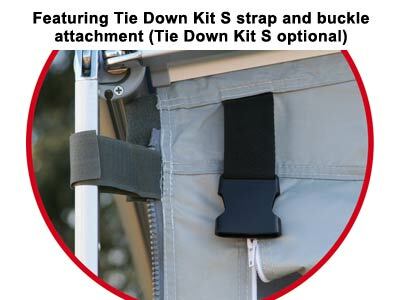 Privacy Room Light side panels feature the new 'S' strap and Buckle system that allows you to quickly fit the new Tie Down Kit S Caravanstore. 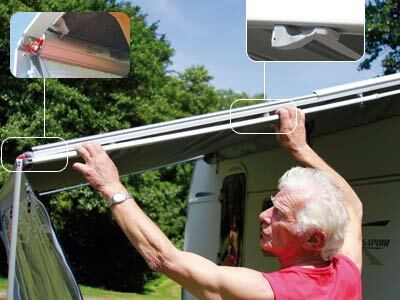 Use Fiamma Kit Privacy CS Light F35 to fit Privacy Room CS Light to F35 Pro awning.